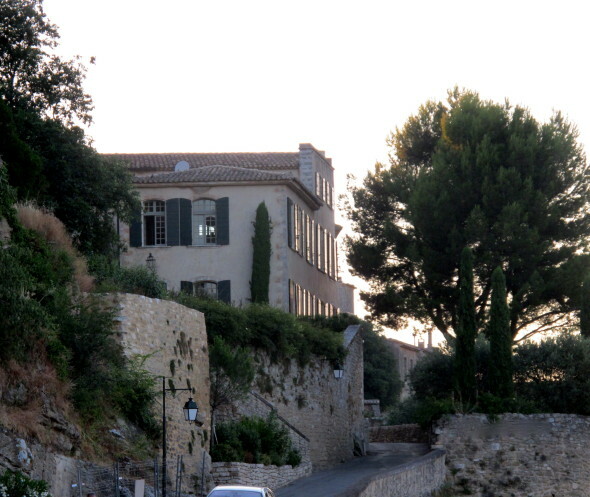 Perched on the hillside of Ménerbes, stands the large proud serene edifice of the Dora Maar House. Stretching out before it is a panoramic of manicured geometric shapes – countless lush tones of green – of vineyards and farm land, and far beyond Gordes, nestled in the hills to the north. 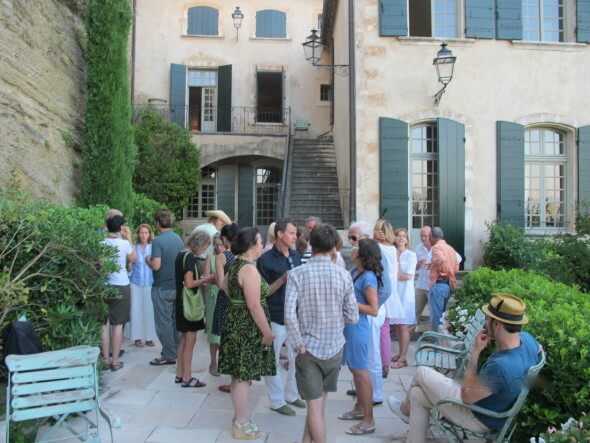 On Thursday evening, residents and visitors in and around Ménerbes drifted to this stately three-story structure – enveloped by gardens, trees and greenery – to take in the creative and scholarly output of summer fellows in residence underwritten by the Brown Foundation Fellows Program at the Dora Maar House. 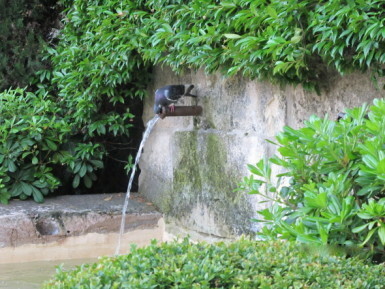 The site has a mythic heritage: the 18th-century town house was purchased in 1944 by Pablo Picasso for Dora Maar, the artist and Surrealist photographer who was Picasso’s companion and muse in the late 1930s and early 1940s. She occupied it until her passing in 1997. Purchased and renovated by an American philanthropist, the Dora Maar House was transformed into a retreat for writers, scholars, and artists: the Brown Foundation Fellows Program at the Dora Maar House, which since 2006 has been directed by the Museum of Fine Arts, Houston. Asti Hustvedt: An independent scholar and the author of Medical Muses: Hysteria in Nineteenth-Century Paris. The New York Times review of her book is here. She has a PhD in French literature from New York University and is the recipient of numerous grants and awards, including a Phi Beta Kappa Fellowship. She is the editor of The Decadent Reader: Fiction, Fantasy and Perversion from Fin-de-Siècle France and has published many translations. She lives in New York City with her husband, artist Jon Kessler. While at the Dora Maar House, Asti worked on her next book, which explores the intersections between medicine and culture, gender and diagnosis, illness and cure. Jon Kessler: received a BFA from SUNY at Purchase and the Whitney Museum Independent Study Program. He has exhibited his work widely in Europe, Japan, and the United States. He has sculptures in the permanent collections of many institutions, including the Museum of Modern Art in New York, the Whitney Museum of American Art, the Walker Art Center, and the Museum of Contemporary Art, Los Angeles. He has received several National Endowment of the Arts grants, the Saint-Gaudens Memorial Fellowship, a Guggenheim Fellowship, and a Foundation for the Performing Arts grant. He is a professor at the School of the Arts at Columbia University. He lives in New York City with his wife, Asti Hustvedt. 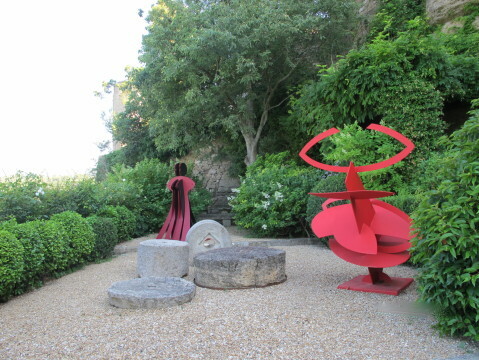 While at the Dora Maar House, Jon focused on two-dimensional work. Eric Pankey: the author of nine collections of poetry, most recently Trace (Milkweed Editions 2013). His work has been supported by fellowships from the Ingram Merrill Foundation, the National Endowment for the Arts, and the John Simon Guggenheim Memorial Foundation. Winner of the Academy of American Poets’ Walt Whitman Award, he teaches at George Mason University where he is professor of English and the Heritage Chair in writing. While at the Dora Maar House, Eric worked on a sequence of twenty 18-line poems called “Speculations,” which mediate on the nature of perception, knowing, and consciousness. Myriam Bornand, a French-Swiss artist who works in multiple mediums: paint, collage, photography, video, texts and installations, and who was a fellow at Dora Maar last month, popped in from her home in Marseille. This entry was posted in Culture and tagged Menerbes. Bookmark the permalink.